Washington: NASA astronaut Barry Wilmore works outside the International Space Station on the first of three spacewalks preparing the station for future arrivals by U.S. commercial crew spacecraft on Saturday. Fellow spacewalker Terry Virts, seen reflected in the visor, shared this photograph on social media. 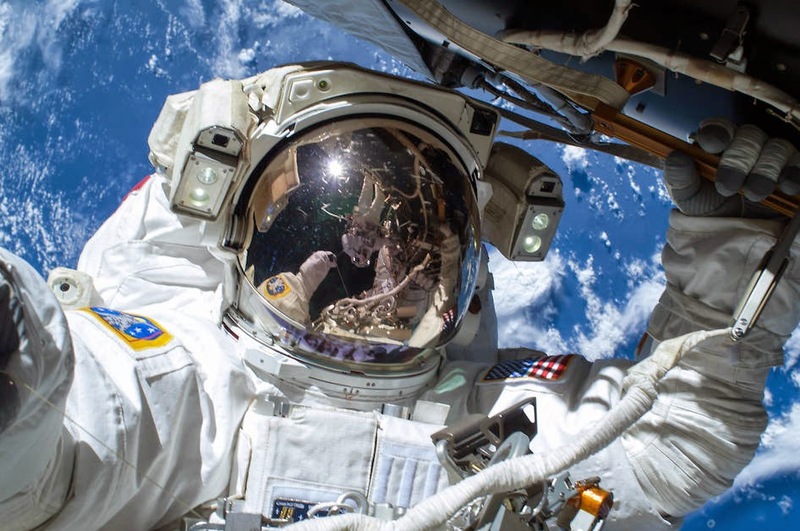 The spacewalks are designed to lay cables along the forward end of the U.S. segment to bring power and communication to two International Docking Adapters slated to arrive later this year. The new docking ports will welcome U.S. commercial spacecraft launching from Florida beginning in 2017, permitting the standard station crew size to grow from six to seven and potentially double the amount of crew time devoted to research. The second and third spacewalks are planned for Wednesday, Feb. 25 and Sunday, March 1, with Wilmore and Virts participating in all three.